Justin Timberlake covered Prince’s “I Would Die 4 U” along with audio and video of Prince’s original performance of the song. The 37-year-old singer sang his new single, “Filthy” before playing “Rock Your Body.” He also played “Cry Me A River” and “My Love” among others. Then, he performed “I Would Die 4 U” while a projection of Prince played. Part of the city of Minneapolis lit up purple with the Prince symbol. NBC showed the image from above. There had been rumors that Timberlake was going to use a hologram of Prince, who is from Minneapolis, as a tribute to the late singer. During an interview 20 years ago, Prince had expressed horror of holograms of any deceased musician. “That’s the most demonic thing imaginable,” Prince said in 1998, CBS Sports reported. “Everything is as it is, and it should be. If I was meant to jam with Duke Ellington, we would have lived in the same age. That whole virtual reality thing… it really is demonic. And I am not a demon. 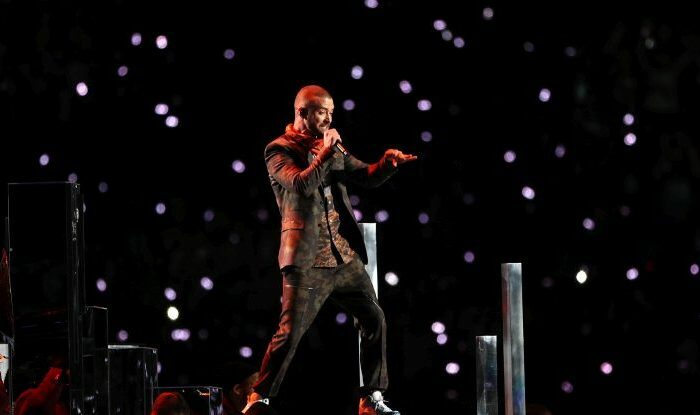 There was also speculation that Timberlake would perform with Janet Jackson in an attempt to recreate the controversial 2004 Super Bowl. Jackson, over the weekend, issued a statement that she wouldn’t be performing. At the end of the performance, Timberlake walked up into the stands. He allowed a young fan take a selfie with him.